Backed by high industry experience and knowledge, we have placed ourselves in the list of leading manufacturer and supplier of Storage Container in Karnataka, India. 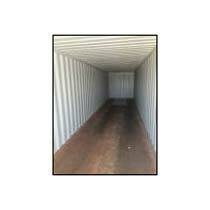 Best quality of raw materials and latest technology are used by us for manufacturing Storage Containers. These containers are widely used in storing various food items. Moreover, we customize the designs and dimensions of our Storage Container according to our customers’ specification. Safe and timely delivery is ensured by us.